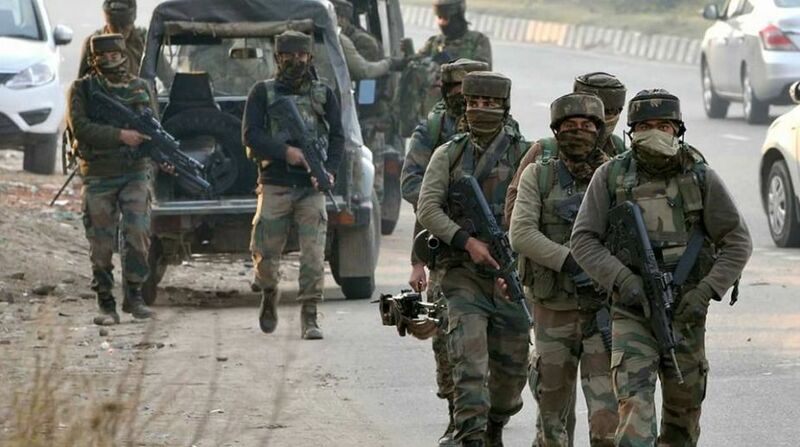 All those killed in the shootout in Jammu and Kashmir’s Shopian district were linked to militancy and the soldiers acted in self-defence, the Army said on Monday. Recounting the events of the shootout, in which six people, including two militants, were killed last night, a defence spokesperson said soldiers deployed at the mobile vehicle check post (MVCP) in Trenz-Pinjoora road near Pahnoo village were fired upon by occupants in two speeding vehicles. At around 8 pm, two speeding vehicles were seen approaching the checkpoint from the direction of Trenz village, he said. The vehicles continued to move despite being signalled to stop by the troops. The soldiers flashed searchlights towards the approaching vehicles, but the occupants opened heavy firing from both the vehicles, the spokesperson added. “Own troops, in self-defence, responded to the same with fire. In the ensuing gunfight, one terrorist firing from one of the vehicles was hit and he fell off the vehicle. The vehicle veered off the road towards the Nala (stream) and the second vehicle sped off,” he said. The body of one militant — Amir Ahmad Malik — was recovered. A Category C terrorist, Malik was part of the Lashkar-e-Taiba (LeT) since July last year. War-like stores, including one AK-74, three magazines and 88 rounds were recovered from the dead terrorist, the spokesperson added. “Three more bodies were found in the vehicle during the search. These individuals were accompanying the terrorist,” he said. At around 9 am today, the body of another militant, identified as Ashiq Hussain Bhat of LeT, was found from the apple orchards of Saidapora village. Bhat is also “linked” with the same chain of events at Pahnoo village, the spokesperson said. He said the second vehicle, from which the Army personnel were fired upon, was found this morning near Pinjoora, about 200 metres away from the shootout scene. “One more individual was found dead (in the car). He has been identified as Gowhar Ahmad Lone,” he added. Local residents and family of the deceased youths have refuted the Army version of the incident, alleging that they do not have links with militancy and were killed in an indiscriminate firing by the soldiers. Chief Minister Mehbooba Mufti has also said that the four men were killed in a “crossfire”. The ruling PDP MLA from Shopian, Mohammad Yousuf Bhat, has called for a judicial probe into the incident saying that “no circumstances can justify these civilian killings”.